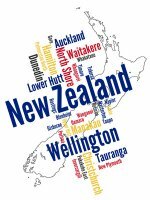 Hello, I'm David Ricquish in the Wellington studios of Radio New Zealand International and today we're going to have a look at the changing Pacific... and in particular at how it's becoming increasingly more urbanized... and how radio today is much less laid back than you might imagine. 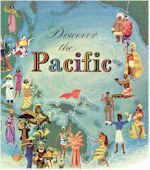 When we think of the Pacific, we usually think of relaxing holidays, tropical beaches, soft trade winds and the quiet roar of the surf to lull us to sleep. 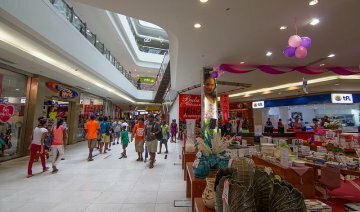 ...and Seaside, part of Port Vila, the capital of Vanuatu has a population of 31 thousand people per square kilometre. 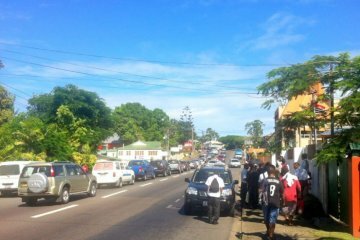 In Fiji, the Suva-Nausori corridor as its known is now home to an estimated 330 thousand people, or one in every 3 Fijians, and like anywhere else in the western world, they have more than one radio station to listen to. In fact, they have about 15 stations to choose from, most of them commercial, and broadcasting in the three main languages used in Suva, English, Fijian and Hindi. As part of the emerging wired world, most of these stations have a website, so let's check some of them out. 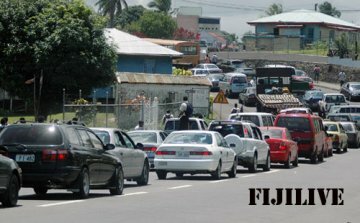 The largest private commercial cluster in Fiji is owned by Communications Fiji Limited, who has one main website www.fijivillage.com as the home for their five stations and their news services. 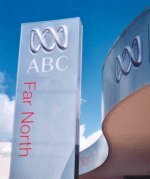 The website is regularly kept up to date with news from Fiji and around the world, and has links to their English language stations FM96 and Legend FM, their Fijian station Viti FM, and their two Hindi stations, Navtarang and Radio Sargam. 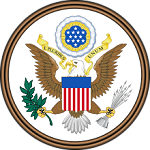 Here's where we hit a problem, because if we want to listen to any of these programs, we have to register, give a lot of private information about ourselves, and then pay 70 Fijian dollars each year for the privilege. No, I don't think so. This is all very silly, so let's move on to some other options for our breakfast show entertainment as we imagine waking up in Suva, the commercial and political heart of Fiji and one of the most important cities in the South Pacific. A recent arrival on the Suva radio dial is Mix 94 which describes itself as Fiji's Best Music Mix and has a website of sorts at www.mix94.fm. 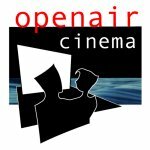 Their breakfast show is hosted by a DJ with the wonderful name of Epi Work, and you listen to their online streaming using several popular software tuners... the music is mostly contemporary English language pop music, and the local ads for shops like Jacks make it sound slightly more exotic. They do have six ways you can contact the station for a birthday call listed at their website, so there's a special treat for someone you know... give them a birthday call from Mix94 in Suva. I'm really impressed with the Fiji Broadcasting Corporation who has a suite of websites for their six commercial stations, all with a standard layout, easy to use, and lots of information about their programs and announcers. where the breakfast show between 6 and 9am through the week is co-hosted by Allan Stevens and Sophie Delanimati. They describe their mornings as upbeat and fun with a focus on local issues. 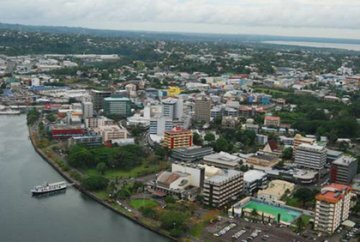 Actually, Suva has no beaches, the nearest one is 40 kilometres away at Pacific Harbor, and the Suva area is built on drained mangrove swamps and has a high rainfall, so is often prone to flooding. Peceli Rokotutuivuna and Serafina Wedlock keeping you company along with "Only the Classic Hits"... And you'll find them at www.goldfm.fbc.com.fj which is again full of useful information for fans and listeners. Of course, you'll also find all these breakfast hosts on their station Facebook pages, which means you can also enjoy the social media aspects of these stations and find yourself lots of Fijian friends who share your taste in music. 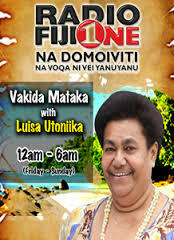 station in the Fijian language, and you'll find them at www.bulafm.fbc.com.fj where the breakfast show is hosted by two guys, Koliaci Vuacati and Apenisa Rakanace so check them out for a fun morning from 6-9am local time through the week. Again, a great website with everything you need to know about the programs, announcers, events and much more, including, for sports fans, their coverage of rugby football which is a favorite local game and one in which Fiji teams excel at international events such as the Rugby Sevens. 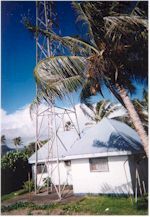 The second Fiji language station of the FBC is the well known Radio Fiji One, which has now been on the air since the early 1950's and is really an institution in the country. Over the years it has been the home of famous voices, announcers as well as the many musicians in choirs, groups and bands that have entertained Fiji, and its archives in Suva are a cultural treasure. 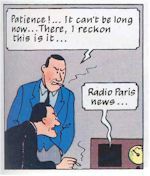 Today, you'll find them at www.rf1.fbc.com.fj and, of course, on several new FM frequencies across the country... and their main breakfast host is Apakuki Waqa who is also the station program director. 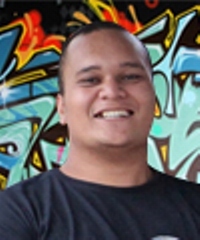 His 6-9am show is shared with newcomer Luisa Utonika and between these two, you'll get a smooth blend of Fijian music, news and information to start your day. 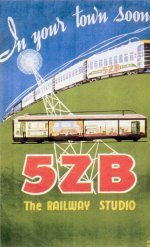 Suva has been the capital for 135 years, and is also the main port and industrial zone for Fiji, with a local roading network that hosts a crowded public bus transport system, and now there are plans to build a monorail transit line along the Suva-Nausori Corridor to help cope with the growing urbanization. 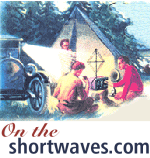 which can be found streaming 24/7 at www.rf2.fbc.com.fj along with its new nationwide FM frequencies. It's known as The Reach of the Nation and also has a proud heritage of entertaining and information Fijian Indians for well over half a century, and here you’ll find more community programs, news and information as well as classical Hindi music. 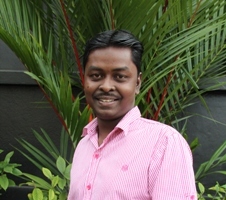 Ravin Singh, who includes a half hour talkback session alongside popular Hindi music tracks and local information. The final FBC website for today is that of Radio Mirchi which can be found at www.mirchifm.fbc.com.fj and this is a contemporary Hindi language station targeted at younger listeners with the branding "It's Hot". In the mornings, you'll be sharing breakfast with the popular Ashmita Sen and her fellow DJ Jitendra Shandil, and hear the latest news from the Indian film and music scene and adverts for many local services and shops, including cheap phone cards to call India. These six websites from the FBC are a credit to their web designers and make it very easy to join the locals for breakfast over a range of local stations, engage with their Facebook sites, and feel part of the local scene in Suva. 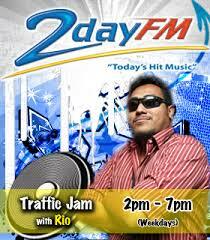 There are several other radio stations that the 330 thousand people of Suva can also enjoy, ranging from Radio Pasifik Triple 8 at the University of the South Pacific, a religious network in three languages including Radio Light in English and Radio Naya Jiwan in Hindi, a 24/7 relay of the BBC Pacific stream from London, and another from Radio France International in Paris. returning to the airwaves shortly, and there is also femTALK 89.2 run by a UNESCO supported collective of female broadcasters who often take their mobile studio around the main island of Viti Levu to give local communities airtime. 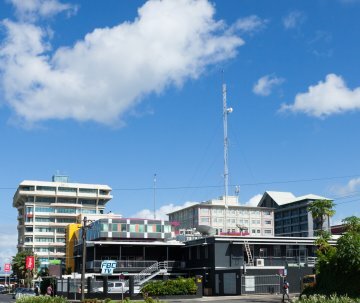 At last count, Suva had around 15 separate radio stations on the air, and with the recent reorganization of the FM dial, there is plenty of space for other stations. Enjoy your breakfast with the Fijian people by sharing some of their local radio personalities and music anywhere in the world with their live streaming websites, and do check out their Facebook pages as well. 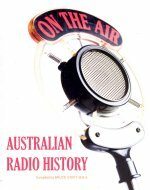 For our free guide to current AM and FM radio stations broadcasting in Fiji, please use our Pacific Islands Radio Guide [available late 2015].